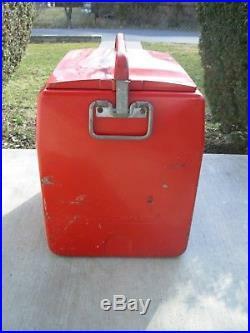 Here we have a vintage 1950’s Coca-Cola / Coke metal picnic cooler. 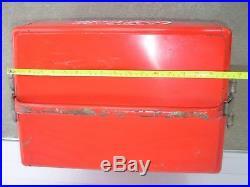 The cooler measures approx. 20″ by 13″ by 18. 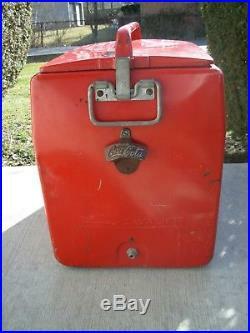 The cooler is made by the Cavalier Corp. 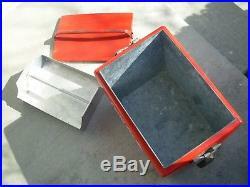 The cooler has a metal tray on the inside and a bottle opener on the side (as shown). 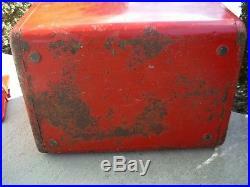 The cooler does show signs of wear with scratches / scuffs and some rust. 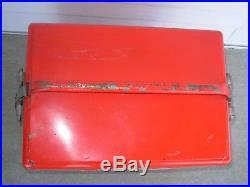 It also has several dents / dings on each of the sides and on bottom (as shown)(one side is hardly noticeable). Missing cap on drain. 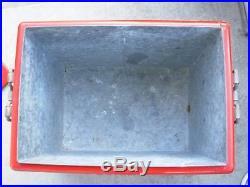 The lid latches as it should – inside of cooler is in nice condition as is the metal tray. 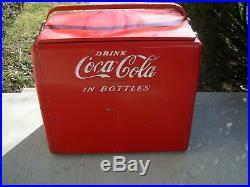 Both sides of cooler read as follows: DRINK Coca-Cola In Bottles. Looks to be all original. The cooler would make a nice addition to a collection. Thanks for looking and good luck. 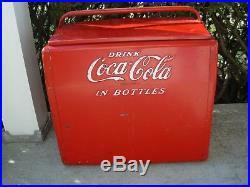 The item “Vintage 1950’s Coca-Cola /Coke Cavalier Metal Embossed Picnic Soda Cooler” is in sale since Thursday, March 22, 2018. 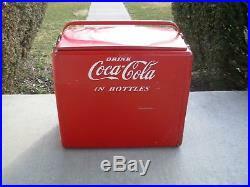 This item is in the category “Collectibles\Advertising\Soda\Coca-Cola\Coolers”. 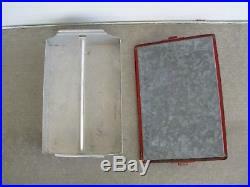 The seller is “tootiecutie6″ and is located in Indianapolis, Indiana. This item can be shipped to United States. 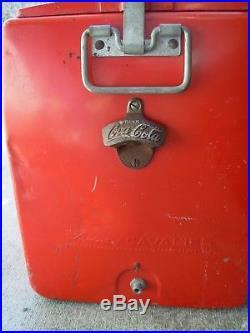 This entry was posted in vintage and tagged 1950's, cavalier, coca-cola, coke, cooler, embossed, metal, picnic, soda, vintage. Bookmark the permalink.